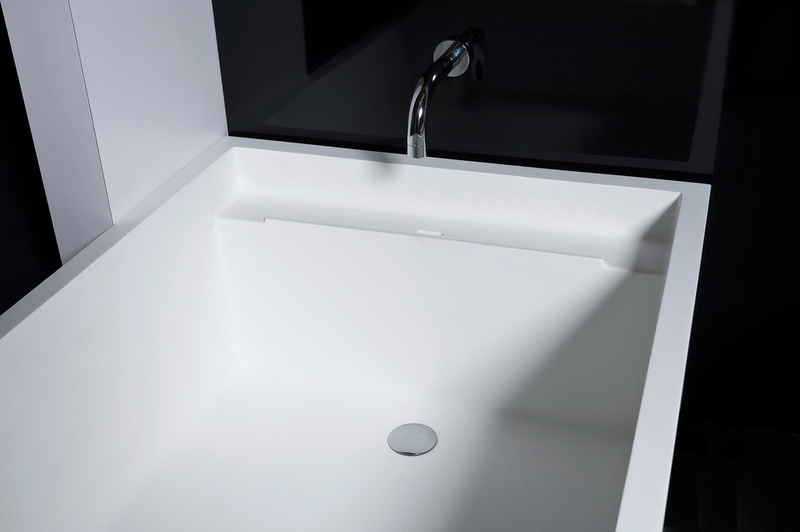 The Surface Tub has an ultra-thin, seamless, cast-resin shell that maximizes the interior area for bathing and showering. Recessed shelves on both ends of the tub provide ample storage room for bathing products as well as an integrated overflow. The tub is offered in a range of sizes along with a flange for alcove installations. The tub is available with an integrated skirt, or without one for a custom panel installation.